Esther Gottesfeld is the last living survivor of the notorious 1911 Triangle Shirtwaist fire and has told her story countless times in the span of her lifetime. Even so, her death at the age of 106 leaves unanswered many questions about what happened that fateful day. How did she manage to survive the fire when at least 146 workers, most of them women, her sister and fiancé among them, burned or jumped to their deaths from the sweatshop inferno? Are the discrepancies in her various accounts over the years just ordinary human fallacy, or is there a hidden story in Esther's recollections of that terrible day? Esther's granddaughter Rebecca Gottesfeld, with her partner George Botkin, an ingenious composer, seek to unravel the facts of the matter while Ruth Zion, a zealous feminist historian of the fire, bores in on them with her own mole-like agenda. 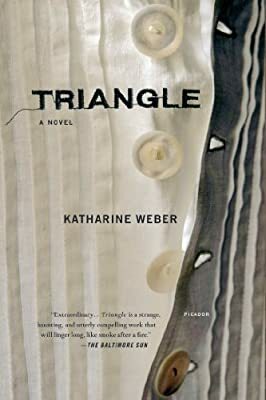 A brilliant, haunting novel about one of the most terrible tragedies in early-twentieth-century America, Triangle forces us to consider how we tell our stories, how we hear them, and how history is forged from unverifiable truths.